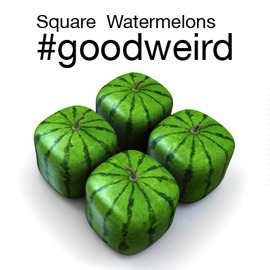 Show us what you think #goodweird is! A new product will be launched shortly and communicate around the idea of #goodweird. We need YOU, the most creative and good people in the world (who said you are weird too?) to tell us what you think #goodweird is! Create or find images, news stories, design features, products, situation that represents #goodweird in your own interpretation. The way we would like you to work: either you take photos of things you see around you or you pick visuals or videos or pictures on the internet. Don’t forget to use the Feedback Circle to evaluate other’s ideas. Click here to join the contest! Send yourentries till May 10, 2015 23:59 UTC!